Last week you mentioned “sideline” girls as if they are some sort of different species, so there’s bar girls, sideline girls and “good” girls. Correct? You will have to help me here, Hillary. How do I find the different ones? Or is there any real differences? There’s a big responsibility on you here, Hillary. Lots of men in Pattaya will be directing their future direction in life depending on your answer. You men certainly make things difficult for yourselves, don’t you, my Petal. Why is it so important that you put your latest girlfriend into one of these three categories? Looks to me like finding witches in the middle ages. Dunk the poor woman in water and if she doesn’t drown then she’s a witch. If she does drown, it shows that she wasn’t a witch after all. But fat lot of good that did for the non-witch who was dead by then! 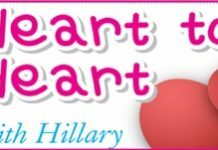 However, to make it easier for you, here is the guaranteed Hillary’s Guide to Thai Girls. This guide should be understood before going into the next category up. Starting at the lower end – Bar Girls. Apply the British Standard Duck test here – if it looks like a duck, swims like a duck, quacks like a duck, then it most probably is a duck. A bar girl will go to bed with you after you pay the bar fine (Mamasan will advise here). She will also want a plate of noodles that night and then scarper with the first chink of light (after the agreed fee for services rendered). Her main job is to work in the bar and get you to buy them copious drinks. The sideliners are a little different. Their day job is to work in the shop and afterwards get you to take them to an expensive dinner in lieu of a bar fine. They will expect the equivalent of the bar girl’s fee in the morning for servicing and they too will scarper, as they have to get to the office/shop in the morning. Now the “good girls”. Petal, you and your mates outside the 7-Eleven don’t need to worry about this category, unless your surname is “Na something” and you went to the best schools and your parents know her parents. Graduating from the 7-Eleven academy is not quite select enough, sorry.